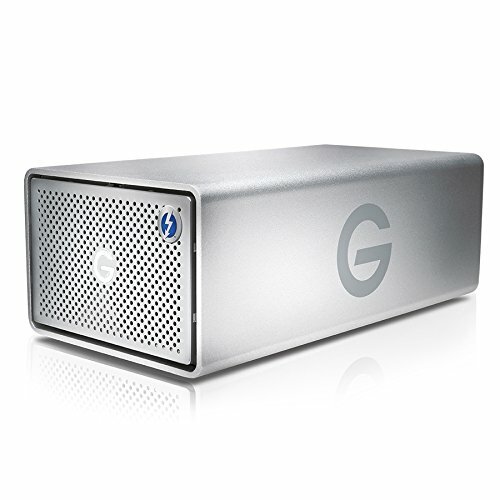 When transfer speed, redundant security, and reliable performance are key, G-Technology G-RAID with Thunderbolt storage systems are perfect for the job. These dual-hard-drive systems use removable enterprise-class HGST 7,200rpm SATA III hard disks capable of handling professional workloads with ease. You can easily setup your G-RAID system in high-speed RAID 0, redundant RAID 1, or spanning JBOD configurations to best meet the needs of your workflow. And with its combination of blazing-fast Thunderbolt 2 and USB 3.0 connectivity, your G-Technology G-RAID with Thunderbolt storage system will never be the bottleneck in your rig.